This is a good article mostly about interview preparation. According to the Society for Human Resource Management’s recent report (Leading Indicators of National Employment, October 2016 Overview), “Recruiting Difficulty” in the services sectors rose 9.8% compared to the same period a year ago. The “Recruiting Difficulty” index measures how difficult it is for firms to recruit candidates of greatest strategic importance to their companies. The 9.8% increase represents a four year high in the services sector! In addition, more than two-thirds of HR professionals (68 percent) reported challenging recruiting conditions in the current talent market. What does this mean for job seekers? 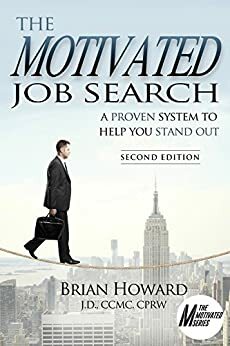 Brian Howard was recently interviewed by Chris Russell of CareerCloud discussing the importance and nuances of networking during a job search. To listen to the podcast interview, click this link: How to embrace a networking mentality . The interview discusses important networking topics such as: The definition of networking, networking mentality, effectiveness, your networking “Cabinet,” your networking “Sales Company,” the power of networking, among others. CareerCloud is a career advice company that helps build better job seekers through articles, advice, job leads and more. Visit them at CareerCloud.com.